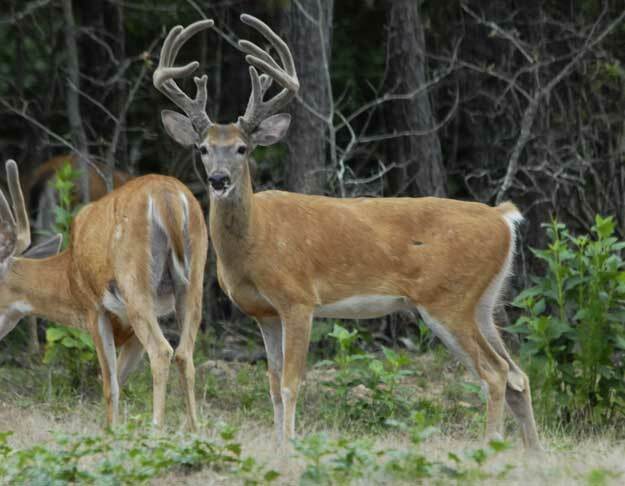 In 2007, we began to see bigger and better bucks on our property than we ever had seen previously. About then, I started studying aerial maps to find out-of-the-way places on our property where nobody hunted. I looked for a funnel or an edge where no one else had been hunting. I wanted to identify these spots and then determine how to hunt them. I found one of those spots in 2007, hung a tree stand and hunted that location. This spot featured a narrow travel corridor leading out of a thick-cover bedding area, with a creek bordering one side, forcing the deer to go up the bank onto a flat bench on a high ridge. With the creek funneling the deer up onto that high ridge, I thought this might be a location where nobody was hunting, and where deer would be funneled within bow range. Although they could go up the mountain and avoid that bench, walking the bench was an easier way to get from their bedding area to their feeding area. I saw several quality bucks there, but my tree stand wasn’t in the right location to get a shot. So, in 2008, I returned to that area and moved my tree stand to the location where I’d seen all the big bucks moving. However, I discovered I’d made a mistake. With the wind currents we had in the mountains, the deer smelled me before they came to me. I took the stubborn approach and decided I could take a big buck from this stand, even though I could see deer going around and away from my tree stand. I hunted some other areas that year and decided to leave that stand site alone. Before hunting season in 2009, I went back to and hunted a tree stand 35-yards away from the 2008 stand site. That year, I took a 9 pointer that scored 146 inches on Pope & Young. I had hung the stand the week before deer season. I took a day off work when the season came in to hunt from this stand. No one had hunted from this stand site until I got there. I went to the stand before daylight and planned to sit all day. We had had some weird weather that year. There had been a lot of rain, and farmers couldn’t get their crops out of the fields. We depend heavily on the farmers harvesting their corn, because when they don’t, the deer stay in the corn, and we hardly ever see them. The week before I hunted this stand, I had noticed the farmers around us had started harvesting their crops. I felt like all the corn would be gone by the day I planned to hunt. I was in my stand ready to hunt by 5:45 am. At 9:00 am, I spotted a big buck walking with his nose close to the ground. I grunted to him with a grunt call. He kept coming, and I couldn’t get him to stop, so I threw a snort-wheeze call when he was about 130-yards away from my stand. As soon as he heard that snort-wheeze, he turned and started walking toward me. He stopped right under my stand. I actually had a difficult time trying to get a good angle to take the shot, because the buck was so close. Finally, I had to turn around to take the shot behind the stand. When I finally touched the trigger on my mechanical release, the buck only was 8-feet from my tree. My old PSE Fire Flite (www.pse-archery.com) delivered the arrow right to the buck’s boiler room. I only could see the fletchings on the arrow sticking out of the deer’s back. The buck ran about 60 yards, stopped and laid down. When I knew the buck had expired, I called my dad, then my friend Perry Peterson, who also was a Mossy Oak Pro Staff manger. He and my dad came out to the club, helped me load-up my buck and get it out of the woods. 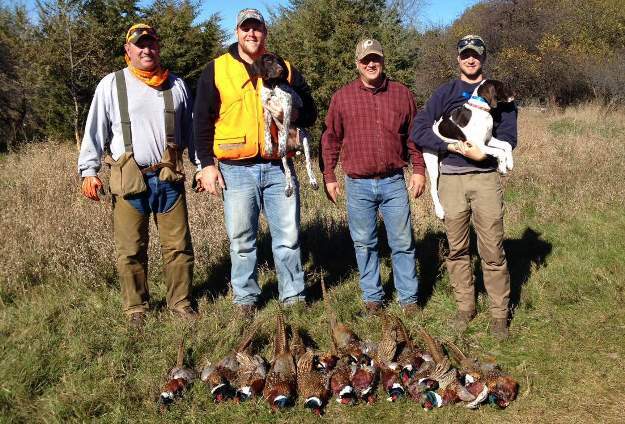 My dad, Perry and I always spend a lot of time together every season at our hunting club. WFN: World Fishing Network, the leading entertainment destination and digital resource for anglers throughout North America, invites anglers to 'Fish Pink' and support Casting for Recovery in their mission to improve the quality of life for breast cancer survivors. 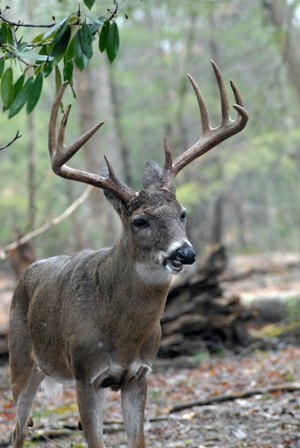 North Carolina will have a lot of hunters come in from out of state for early bow season in hopes of taking a buck in the velvet, but I've never taken a buck in the velvet. 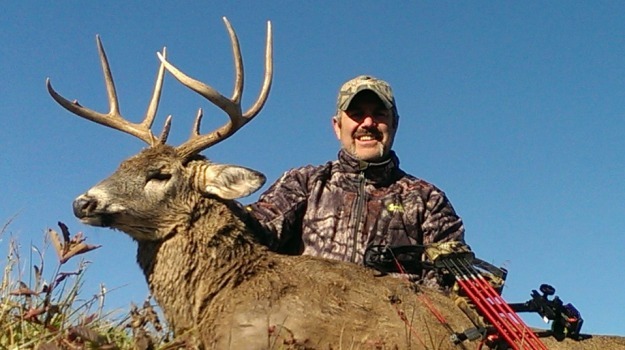 Some of our club members enjoy hunting and taking velvet- antlered bucks. 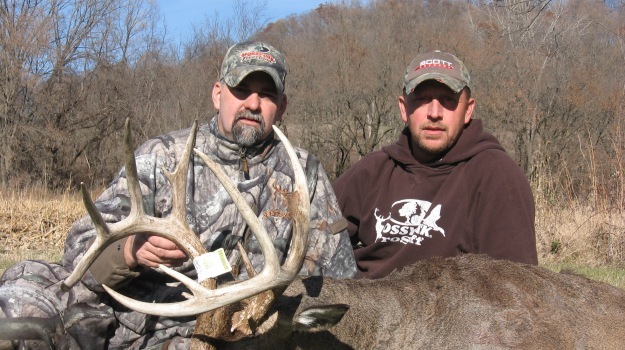 About 10 years ago, one of our members took a velvet-antlered buck that scored 140 inches. In many areas deer won't come to crop fields or green plots until dusk or after dark. Or you may see deer leaving these agricultural areas just at daylight. So putting up a tree stand on the edge of a field may not pay buck dividends. 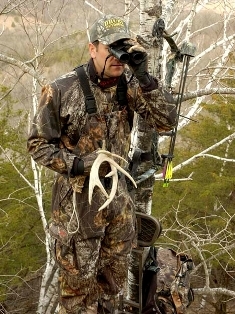 You might need to pinpoint the trails the deer use to come and go and plan an ambush.